Adrift have developed a number of innovative, powerful and exciting team building programmes that range in length from 2 hours to 3 days. We have delivered programmes to many of East Africa’s leading corporate organisations and do so on a regular basis. Each programme is developed be-spoke to meet the needs of each client and many are run for NGOs as well. Usually include a series of physical tasks designed to test the various aspects of teamwork. These are followed by expert facilitation. The entire programme is delivered in a fun environment with very productive results. 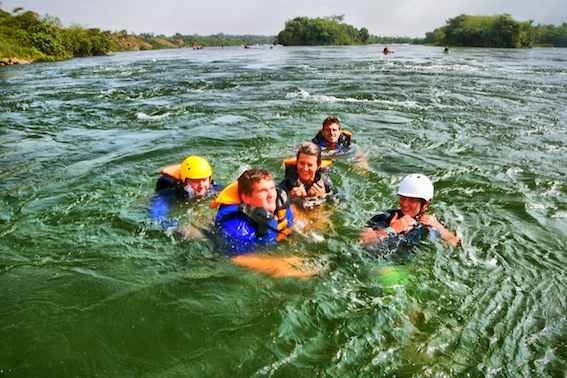 Adrift regularly conduct Adventure Training exercises for the Military. The training exercises ensure that soldiers are taken well outside of their comfort zone, while enjoying the experience. The Adrift team are empowered to run more challenging and diverse activities as a result.